Equals not a whole lot of blogging time this summer! Proof of Heaven by Eben Alexander, M.D. It’s Free … Is It? Some days I love it and some days I hate it. That’s golf. 🙂 do you play? Are there courses where you are? I just started playing a few years ago after retirement. 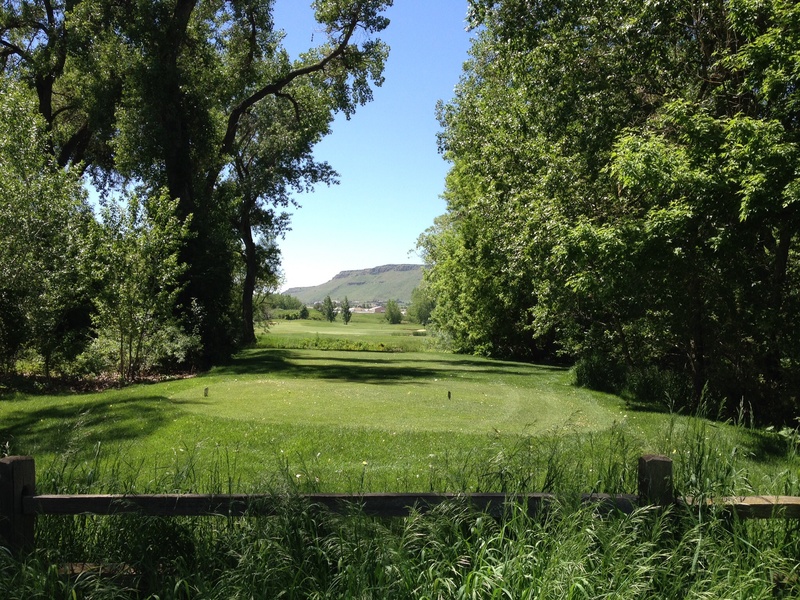 We have a couple of small courses near us. I like playing but don’t get to very often and to be honest I am a fairweather golfer! I do love crazy golf in all weathers though, lol. Do you get to play a lot? A couple times a week but only if it’s sunny and warm and my body feels loose enough to co-operate. So I guess I’m a “conditional” golfer. 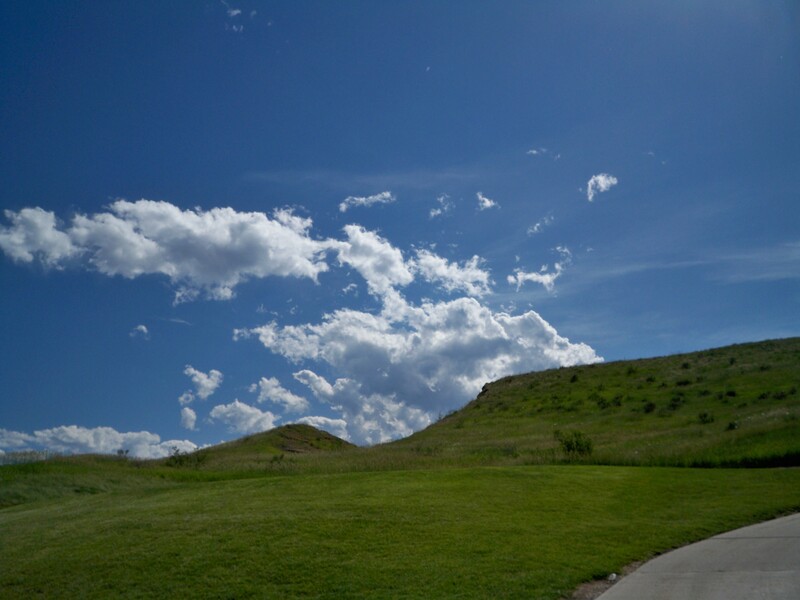 I only took it up to share an activity with Hub, and I do love the beauty of the golf courses. And you’re quite right. 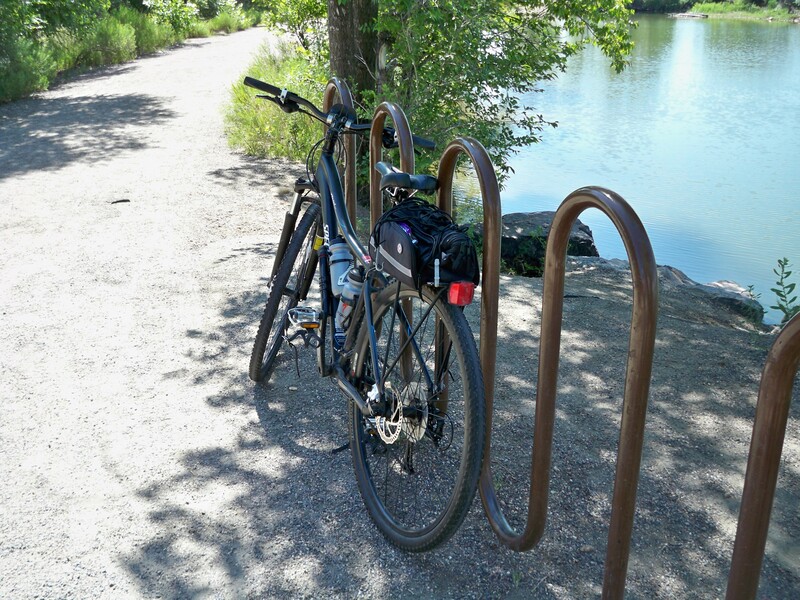 It won’t be as much blogging as usual, as long as it’s summer and possibility to bike and be outdoors. Yes, we both love our bikes and sunshine and summer.i feel all those years if being a kid when I’m on my bike. I feel freedom and strength! 🙂 I’ll let you know if any of the books are 5-star. Oliver Sacks, eh? That one sticks out from the rest, to my mind anyway. I went through an Oliver Sacks phase… started with Uncle Tungsten. This is the only one of his I’ve picked up. The title and snippets were intriguing. It’s a tad tedious to work through some of the stories, but the afflictions and studies are quite fascinating. Humans have so many “parts” that can malfunction, and the human brain is remarkable in its compensatory abilities. Couldn’t agree more as regards the fascination with brain. PBS did a series on the brain many years ago, and Sacks was interviewed/cited. I found out more recently that the good doctor is also has a rock collection, so there’s that, too! Heh,heh. I’m always tempted to write a treatise pointing out all the things in a photo I don’t want viewer to miss. That defeats the purpose of a picture being in the eyes of the beholder, eh? 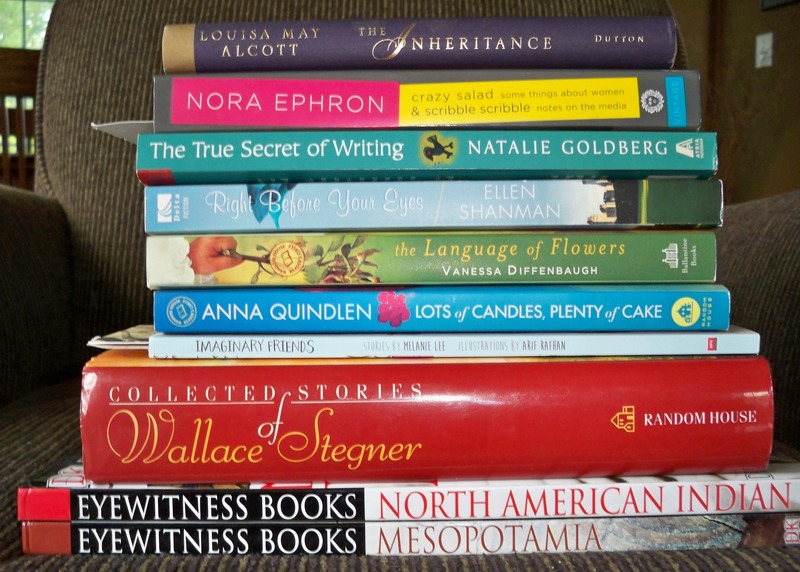 You have to tell me how The True Secret of Writing by Natalie Goldberg turns out! I read first chapter last night – she, and her career, have evolved so much since ” the bones”. I’ve not been successful (or admittedly dedicated enough) at ” sitting” or “meditation” and hope her insights and practices will help me see the beneficial connection with writing and deeper “me”. Oh come on, spill! I did her writing exercises. They were excellent, and after a short time greased the wheel to allow me to get down ot writing on any day I chose. Have to admit, I was already a meditator . . .
:-). I’m a daydreamer. I SHOULD be able to transition that to meditation. It’s my own stumbling blocks that keep me from what I know would be beneficial. Work in progress! I have seen how much you “live” in spiritual nature, and use your meditative practice. You do inspire me. AW. I learned to meditate or go crazy — seriously — had a monkey mind that was overactive. Yeah,me too. Anti-anxiety meds help me enormously (I had to start during a crisis and realized they help with little stuff, too), but I still would like to find the quietness that meditation is supposed to facilitate. This fall, after outdoor stuff is done, I’m going to “get serious” about establishing a routine so I actually put some objectives in practice. Thank you for visiting, Jane. I just picked up that book at my favorite used bookstore, and the clerk was so excited ( he hadn’t seen the book on the shelf), I thought he might not let me have it 🙂 I haven’t read Stegner in a long time, and knew when I saw this collection, “it’s time”. Stegner is one of my all-time favorite authors. . . .
:-). I guessed Jane would know of him, but wasn’t sure who else. It doesn’t surprise me to hear you are a fan. Life, not to mention summer, is short so enjoy! 🙂 Looks like you have some lovely areas in your neighbourhood Sammy. 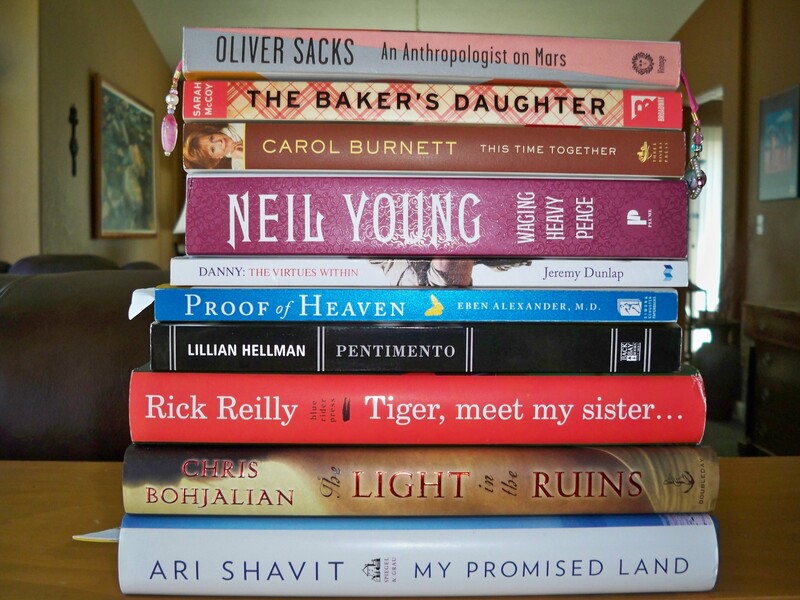 As for reading lists – I have a huge stack as well, including Neil Young’s. Cheers! Debbie, I’m glad you are a Neil Young fan. I play his Prairie Wind CD in my car all the time. He has the richest “down home” lyrics in his songs about his family. Enjoy the summer! I think you are going to need that extra month!!! Or fly to Southern Hemisphere when winter gets here !! I wish I could afford to have two houses – one in each hemisphere, and the funds to move between them! No kidding! “funds” is key because I’d want two comfy homes with cars and bikes and $$ for first class travel between the homes :-). That said, I’m very satisfied with what I have and spend little time yearning for anything else /0:-) but I’ll be happy to visit you Heh Heh. Gorgeous photos! And I totally love that you have not one, but TWO piles of books TBR. Enjoy your summer! 🙂 thanks, Laurel. I knew I had “over-acquired” when I couldn’t fit them in one photo! Some shop for clothes; some get nails done; I buy books! I’m dying for some good reading time. Too much construction at my home this summer. Ug! Ooh, yes, that can be so intrusive – people wise, noise wise, and messy wise! Are you re-modeling or adding on? Sammy D., you and I just seem to go in the same directions. I just looked at my pile of stacked up to read books and magazines and decided I was going to take the time to go to the beach every couple of weeks for a few days and read where I can’t, won’t be interrupted or distracted with other projects and take long walks on the beach in between. These five days of being unplugged and no work have spoiled me. I need to get outside cuz summer doesn’t last long around here. I am going to copy your book list and check them out too. I have a friend who usually keeps me in plenty of books, but , alas, she has gone back to full time working and has no time to browse for me. And then there is the zentangling. Spent the weekend showing and drawing with my daughter and grandson, and he has already out tangled me. He is 10, and has the imagination that fills in those blank scribbles at lightning speed. He doesn’t even think about it. Talk to you soon. Linda -I’m so glad you had a good time unplugged with your family. I will be curious to see if your daughter finds the tangling as soothing as we have. Beach walks and books sounds heavenly; this summer seems especially fleeting. Right now the wind is gusting rapt 30MPH and ther must be at least 6 different types of clouds in the sky as we go from sunny 100 degrees today to rainy 80 degrees tomorrow. Not a normal summer at all! Enjoy and know I’m thinking of you and look forward to connections when we’re plugged in! Being outdoor for summer is so much more fun!! After all, winter just took a break. I took my bike out but its a three wheeler. LOL. I get interesting stares, but I don’t mind, I just make sure I look cute! LOL. Nice photos. I think the 3-wheelers are so chic, and I can see myself on one at some point in the future, but then I’ll need a little electric motor to boost me up the hills! Thank you, Silvia. Books and bikes have truly been my BFFs since I learned to read and ride! Looks like a fun summer to me! Thank you, Paula. You and Richard are always in my prayers. 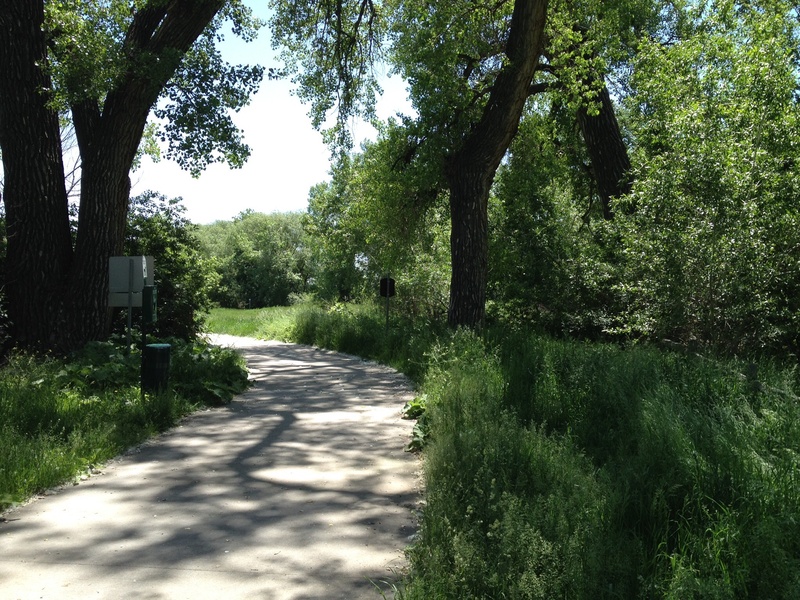 That bike trail is beautiful, looks like the perfect place for a summer ride. And that is a serious stash of books, always so exciting when there’s a whole pile of them to be read isn’t it? Although I tend to find that I add books to my pile quicker than I can read them so it keeps getting bigger! That sounds like the perfect afternoon if you ask me! Makes having bad weather worth it!! Ha ha – that’s great. You have your priorities straight!! About halfway through our game, I start salivating about food on the patio myself 🙂 you are so right about the green and brown dichotomies in water usage because it’s the same here. I do know the courses pay dearly for water rights and use recycled water. Let me know if you like Niel Young’s book. I’ve heard mixed reactions so far, but from a very small sample. I prefer bike trails to golf courses, but either beats the view from behind a desk. Nice post. Thanks, Dan. Will write a post on Neil after read book. Love the pictures! Wish I was there. LOL Have fun reading!! Thanks, Linda! I look forward to reading your posts after Silvia’s complimentary words. Gorgeous photos! And I’m so jealous of your summer reading library! Enjoy!